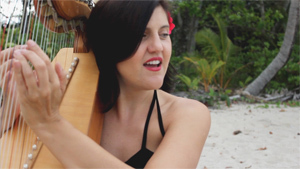 Beautiful live music and CDs by Visnja - Port Douglas and Cairns singer, harpist and pianist. Latest news August 2018: Vish performing with 5 other harpists in Cairns Festival. Date: Tuesday 28 August 2018 from 6.30pm. 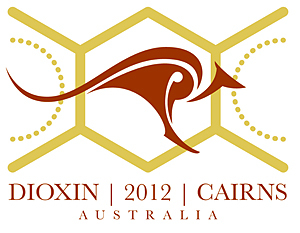 Venue: Freshwater CWA. Free entry and child-friendly gig. With performances ranging from Port Douglas and Cairns wedding singer / music, to national television events, Visnja has brought her timeless yet contemporary harp, piano and song interpretations to many settings Australia wide. Visnja melds well known pop / rock hits with Celtic moods and her own award winning compositions. As well as live performances, Visnja is a recording artist and composer whose work has appeared on film, stage and on other artists' recordings. Live studio performances on ABC Radio National Adelaide and Melbourne. 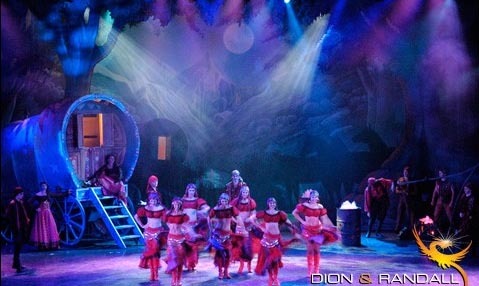 Visnja composed theme music for Zingara the Gypsy Queen, a musical spectacular by Dion Randall and Associates. 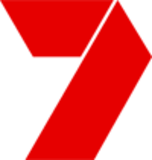 The production had a year-long run at Jupiters on the Gold Coast. Visnja arranged and performed a folk song called The Legend of Ben Hall for a film of the same name released in cinemas in 2016. The video below is The Legend of Ben Hall trailer featuring Visnja's music. Additional percussion was orchestrated by Ronnie Minder. A calm and beautiful CD of harp and vocal music, similar to the music Visnja performs at the Douglas Sunday Markets. Visnja is also an illustrator and has published a song book for children called The Enchanted Song Book . 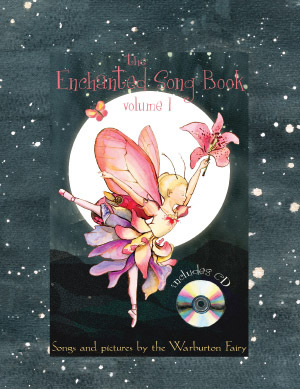 The Enchanted Song Book is a premium hardcover gift book containing a CD of 5 songs by Visnja, lyrics, sheet music and watercolour illustrations with magical themes and and catchy melodies that children love. Signed copies are also available.